MARK YOUR CALENDARS NOW AND MAKE PLANS TO ATTEND!! It is with great excitement that MOCEP has decided to join the Southeastern Chapters Education Conference which will take place next year from June 6-9th in SanDestin, FL. 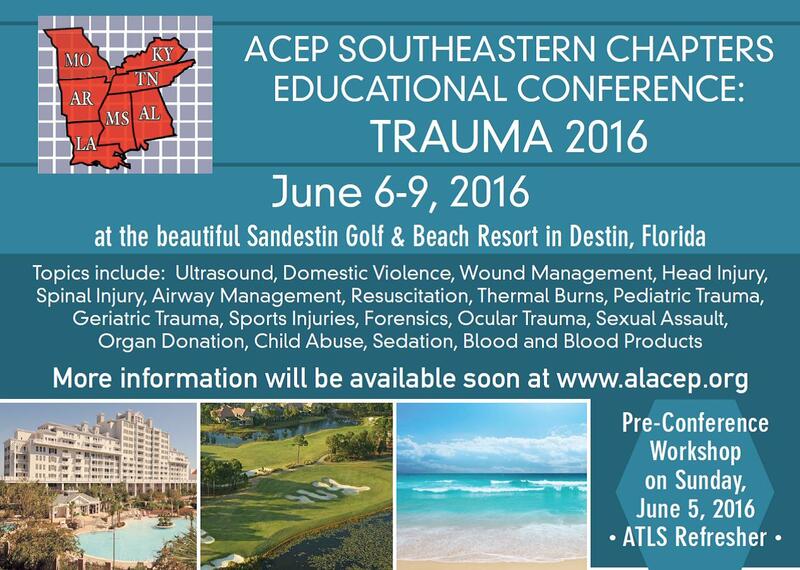 This meeting combines great educational sessions with beautiful Florida beaches. We hope to see many Missouri attendees next year. This is a family friendly event. The SanDestin resort provides plenty of activities to keep you occupied when not in sessions. The lecture component ends each day by 1pm in order to allow for recreational time. Brochures will be mailed in early 2016.